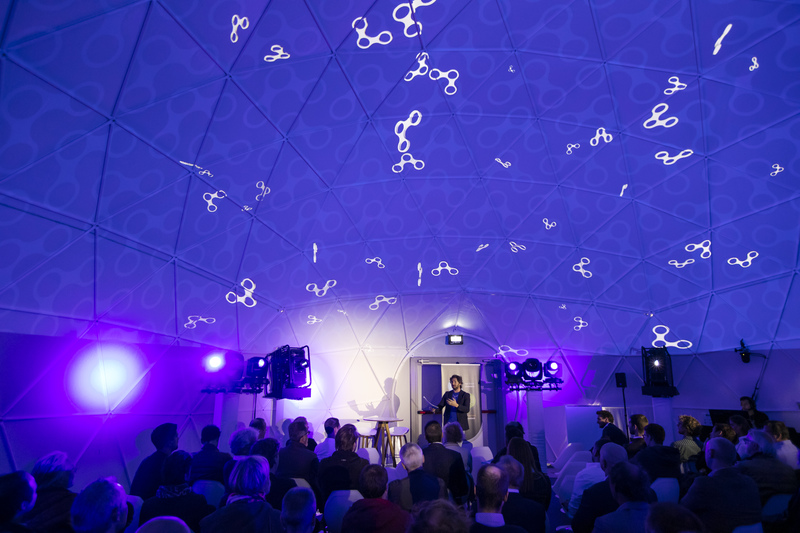 The technology festival SuperNova took place in Antwerp from 27 until 30 September 2018. 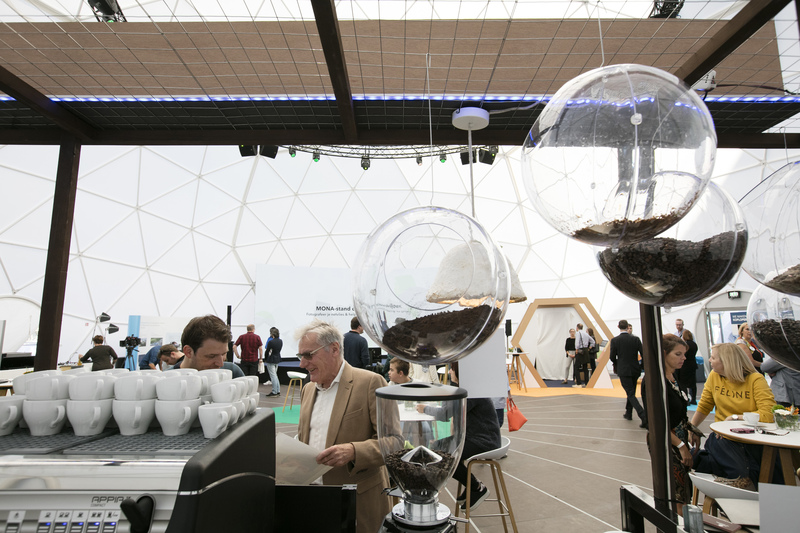 The four-day event was a meeting place for entrepreneurs, companies, investors, researchers, creative minds and the general public. 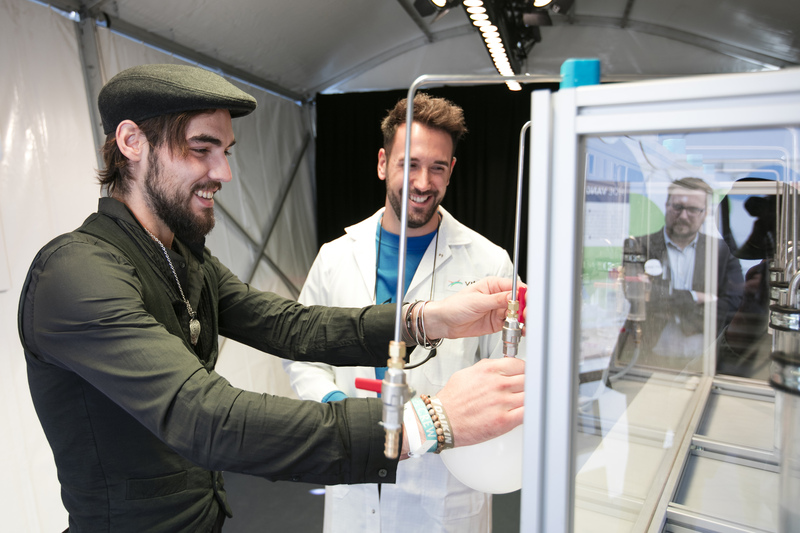 Visitors were able to discover innovative technologies under the flag Tomorrow is unstoppable, embrace the future. 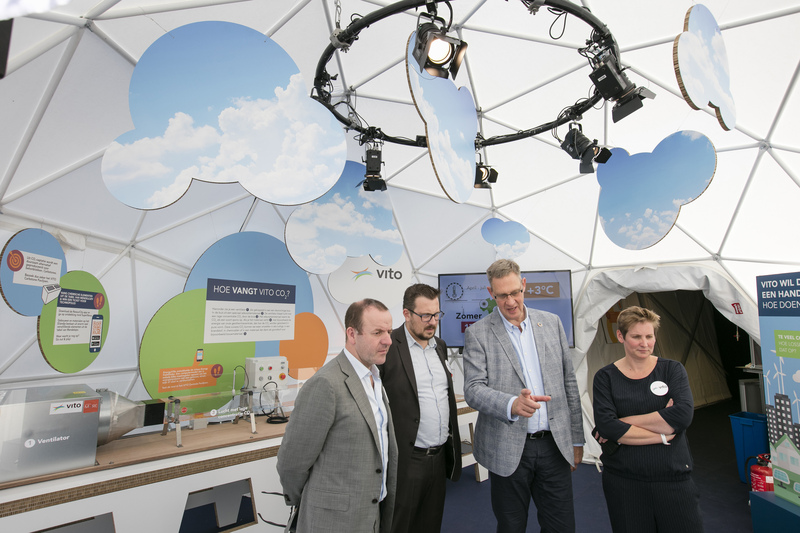 In the VITO Sustainability pavilion we shared our view on the future and the technology and innovation of tomorrow. 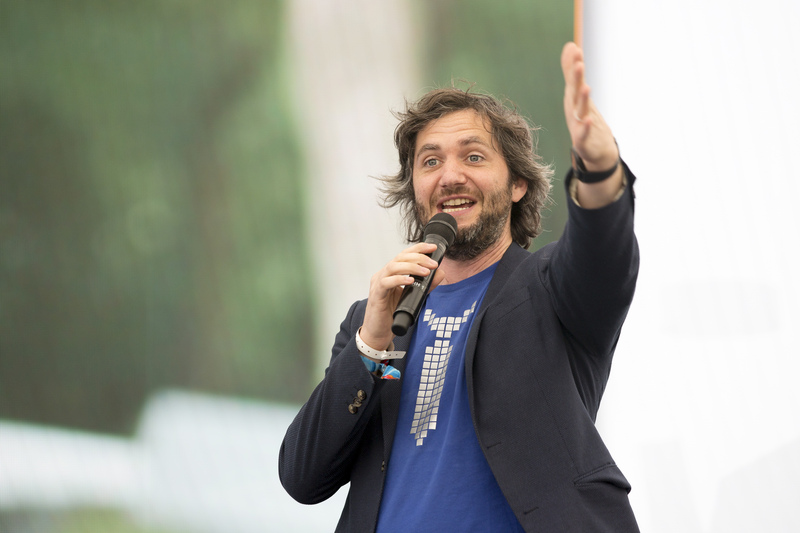 Science communicator Lieven Scheire brought a performance about VITO topics with a comic twist. 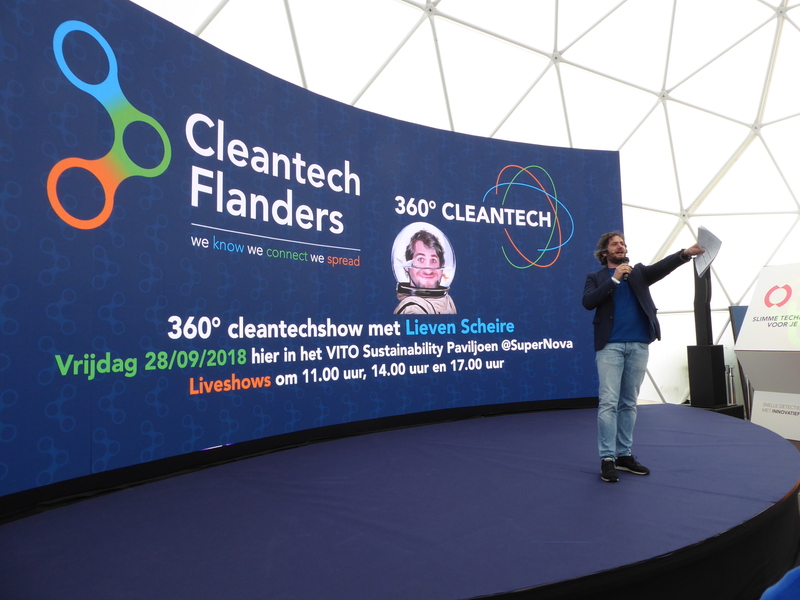 Lieven also entertained the launch event of Cleantech Flanders. 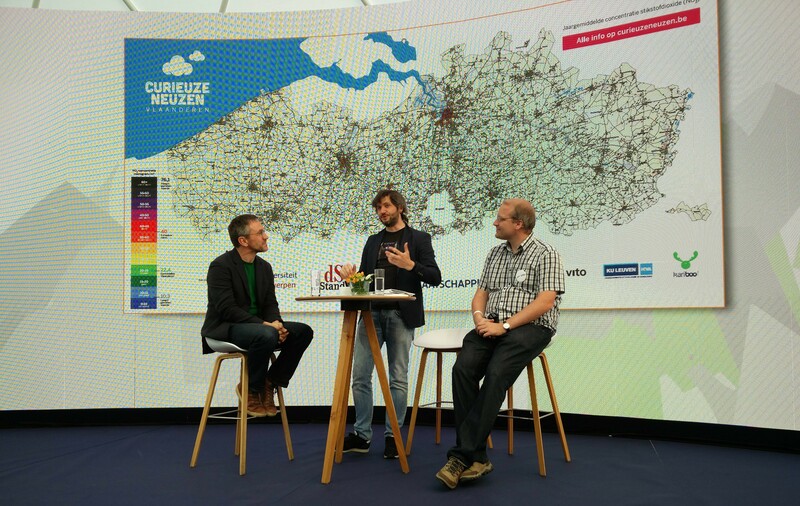 20,000 people across Flanders have taken part in the citizen science project CurieuzeNeuzen to measure the air quality in their neighbourhood. Are you curious about the results in your street? 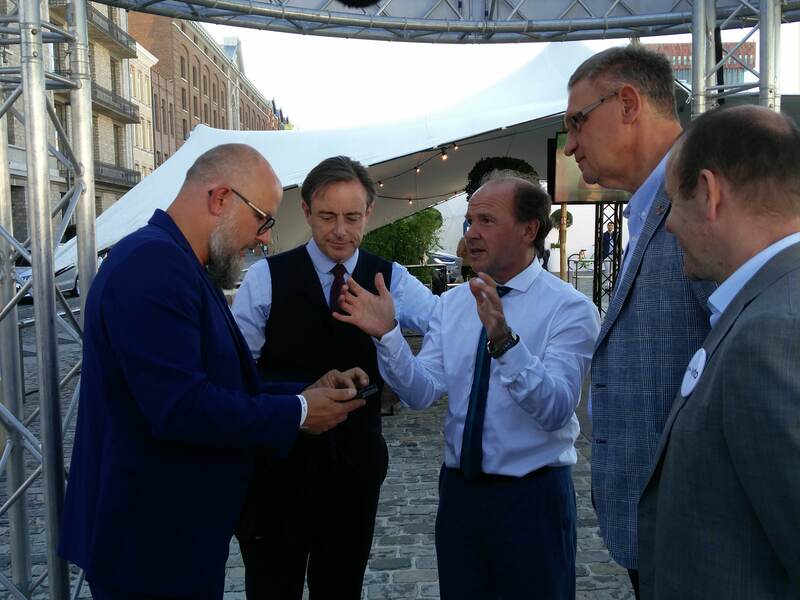 We are bringing deep geothermal energy to Flanders. We've recently drilled to a depth of 4 km in the Kempen area. 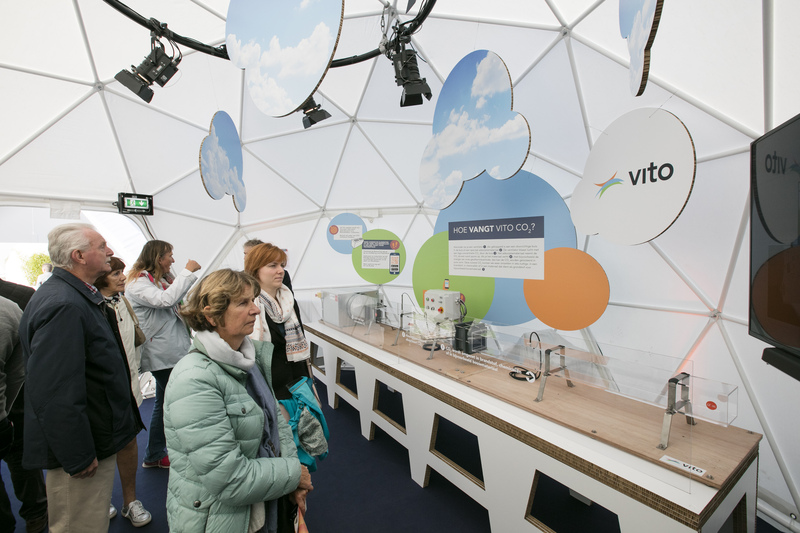 The geothermal energy plant will supply heat and electricity to all VITO offices as of October 2018. What’s next? 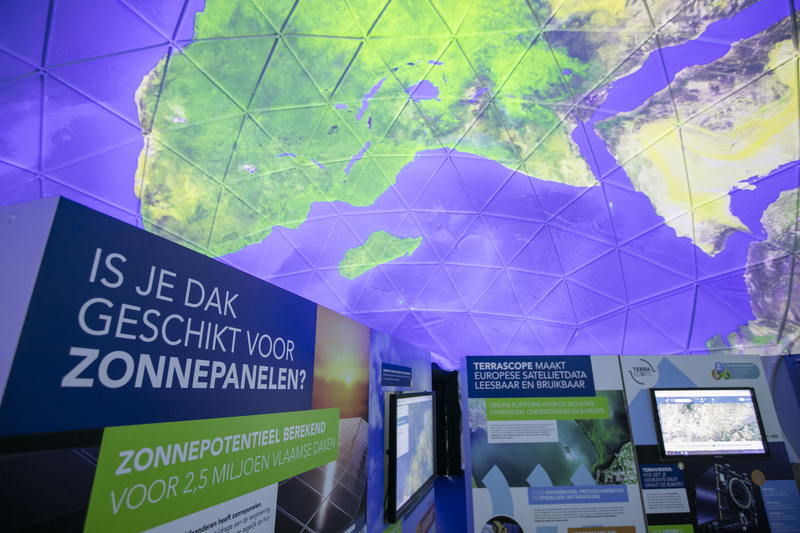 Bringing deep geothermal energy to every household in Flanders. CO2 has a negative impact on the climate. Luckily, it can be captured from the air and transformed into useful chemicals. They can be used as a sustainable source of energy. Come and find out how we do this. CO2 and steel slugs are a sustaible alternative to bricks. They can be recycled into a robust and hard building material: curbstone. Come and let your inner artist loose on our curbstone graffiti wall. 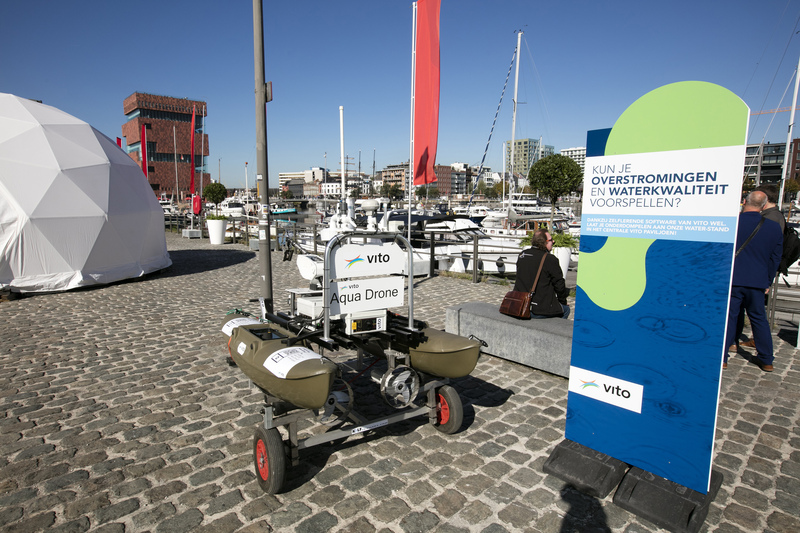 Did you know that satellite and drone images can lead to more efficient land use? 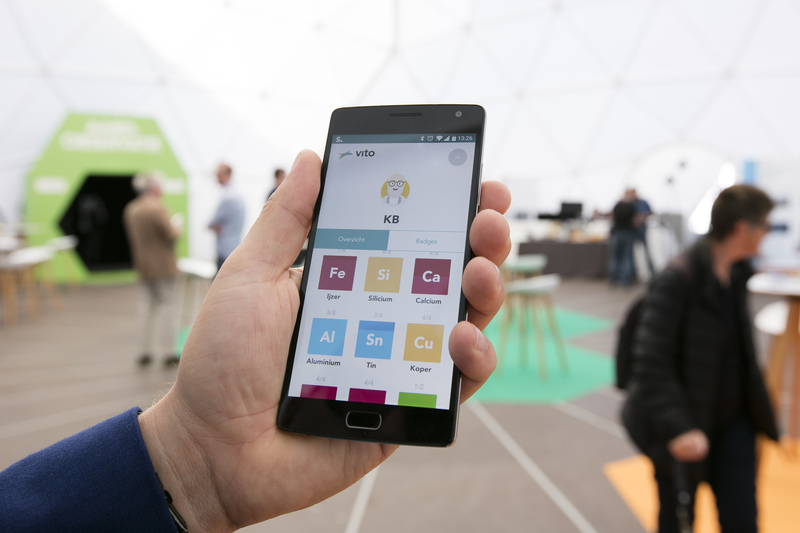 VITO is helping farmers gain a better understanding of crop growth and development. Did you the eye is a window to the heart and the brains? 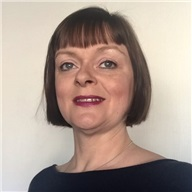 Using image analysis of the retina, we’re able to assess the risks of chronic diseases such as high blood pressure, cardiac disease, diabetes, even Alzheimer’s. 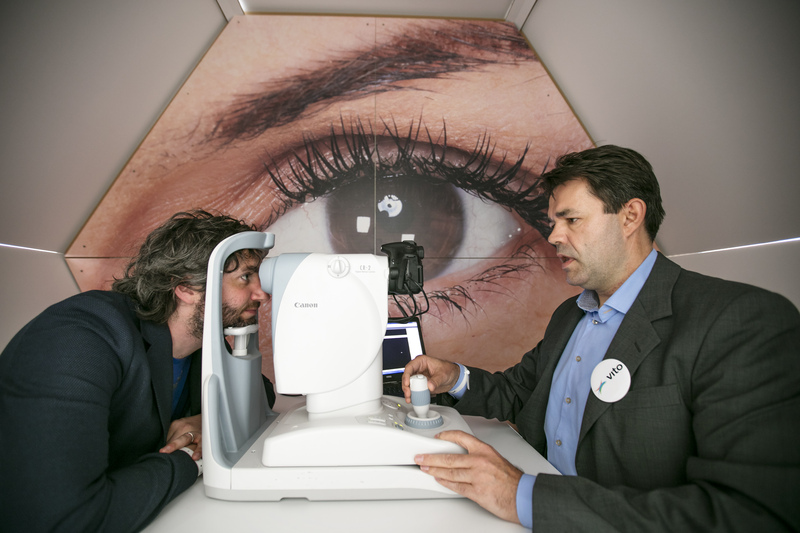 Come and have your retinal image taken. We’ve developed the battery management system for the the first Belgian elekctric car’s battery. It can be charged in a conventional socket in 3 hours. Afterwards, they can be used for another 20 years as an electrical storage battery in the home. 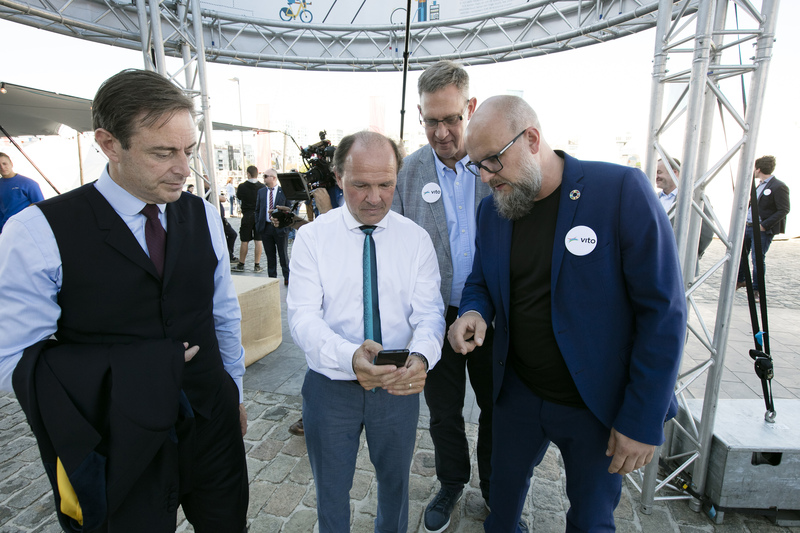 With a wireless sensor network and self-learning software Flanders now has an intelligent and efficient water management system to better handle water risks such as flooding, periods of drought and water pollution. 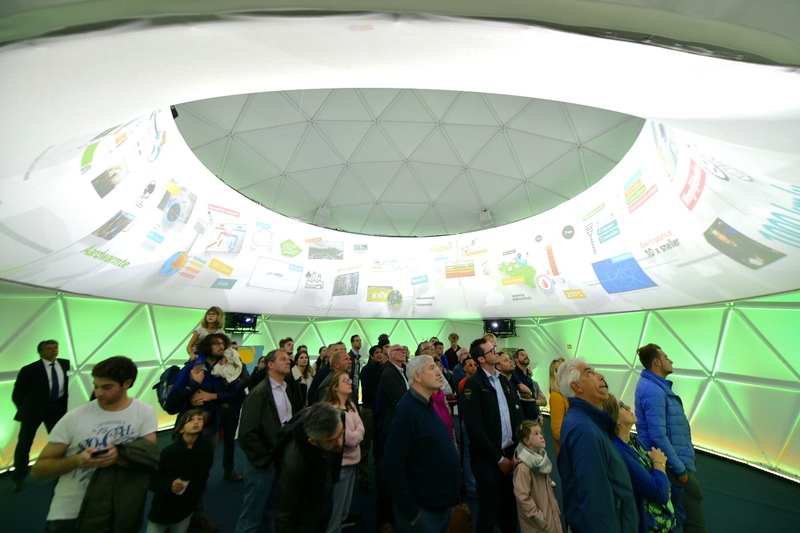 To meet growing energy demands and put a stop to global climate change due to carbon dioxide emissions, a great many Positive Energy Communities will be needed. 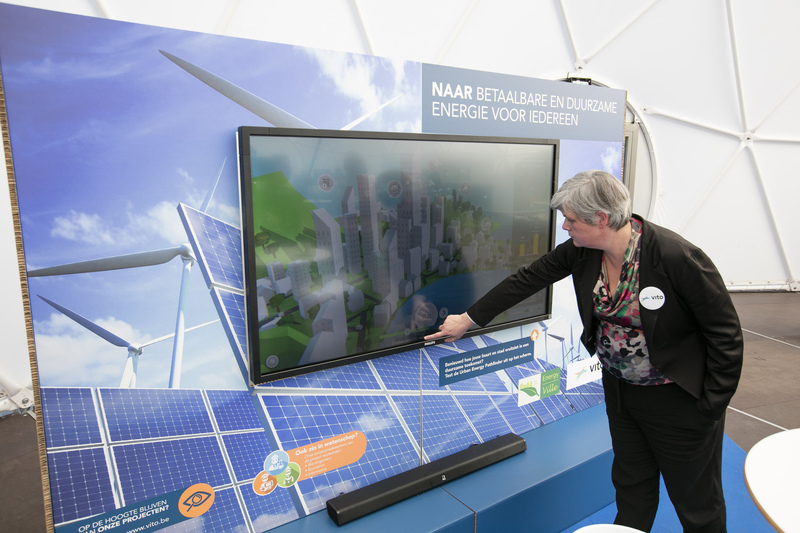 Neighbourhoods that generate, store, distribute and use their energy sustainably. 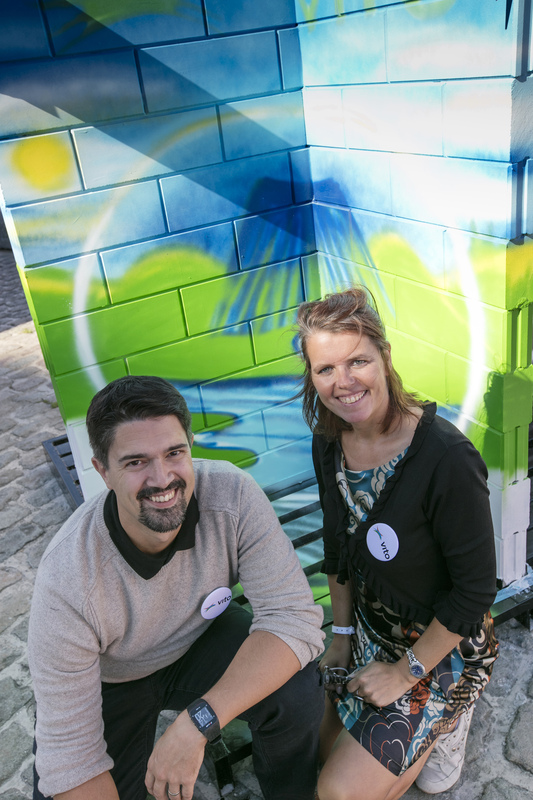 Want to know what your neighbourhood or city will look like in a sustainable future? Come and find out!